Students in the Account Planning (ADV 4601) course are getting plenty of hands-on experience this semester thanks to a partnership secured by Grizelle De Los Reyes, Department of Communication faculty member and program director of the Masters in Global Strategic Communications Creative Track. Her students were able to partner with local agency RBB Communications and their client Infinity Auto Insurance. By the end of the semester, students had the opportunity to convert in-classroom theory into real life practice by working on actual primary research. 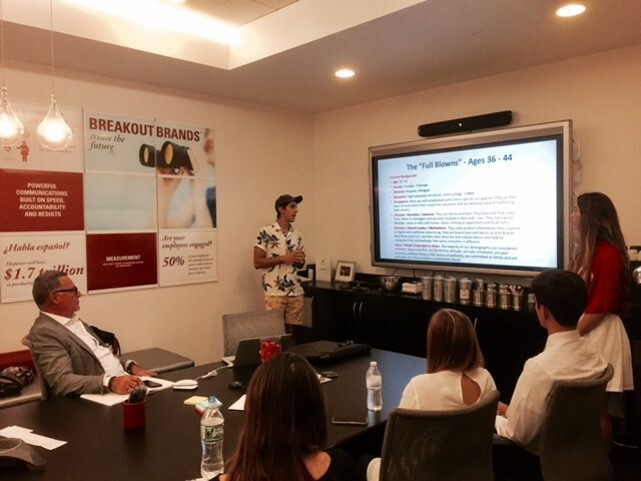 The class worked alongside agency, client, and instructor on a campaign that focused on expanding its reach in the South Florida Hispanic market. The process, initiated by RBB Communication through the creation of several creative concepts, included students running focus groups and conducting individual interviews in order to determine which message resonated the most. The primary focus was on consumers who are more interested in purchasing insurance online than through traditional methods. Students were able to gain insight and experience on how to conduct qualitative research and present results. 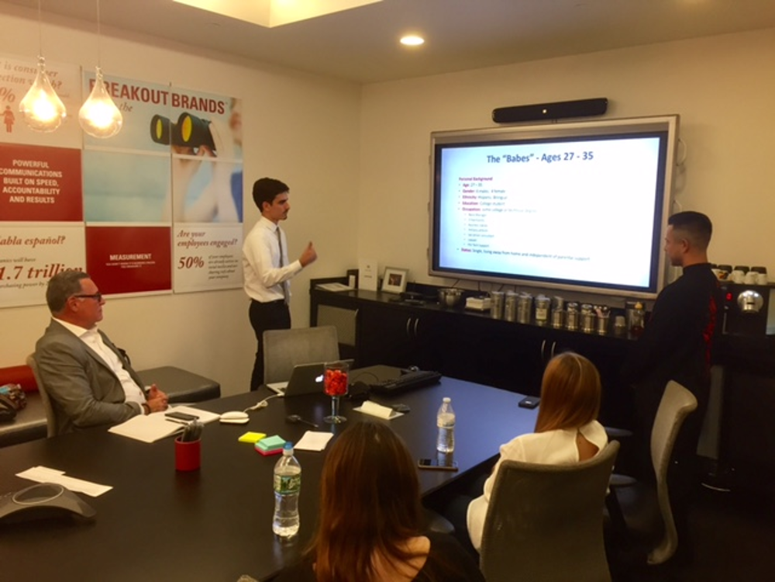 On October 31, the Account Planning class delivered the presentation to the client with RBB Communications. 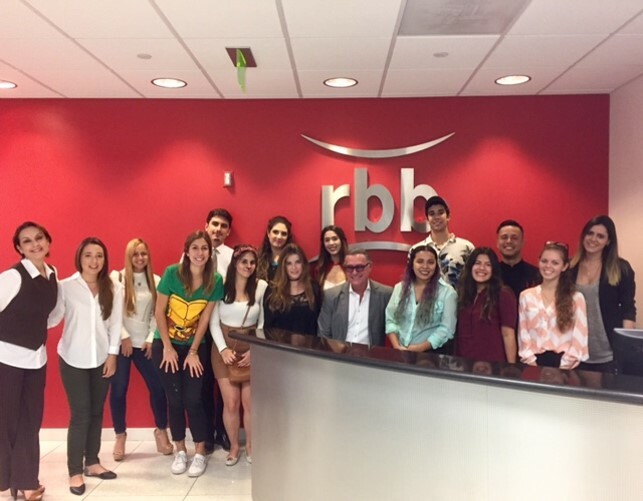 RBB Communications is an integrated communications agency based in Miami, Florida, and is known for a history of creating powerful communications built on speed, accountability and results.